What is Black Sea Kelp? 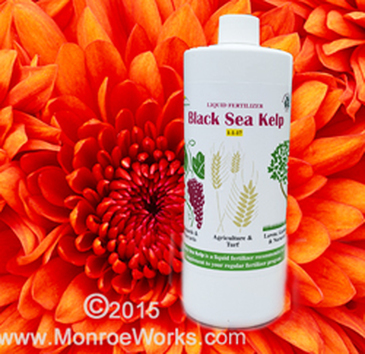 Black Sea Kelp is a liquid fertilizer derived from Ascophyllum nodosum. This kelp species is widely acknowledged as the best seaweed for agricultural and horticultural applications. What makes Black Sea Kelp so special? This liquid plant fertilizer contains naturally occurring plant growth regulators like cytokinins, gibberellins, and indoles. But that's not all. It also contains mannitol - a compound that naturally chelates micro-nutrients. This chelating process transforms these important health promoting nutrients into a form plants can more easily uptake. Black Sea Kelp works best as a preventative soil amendment. To prevent disease, apply in low, frequent doses rather than high, infrequent doses. 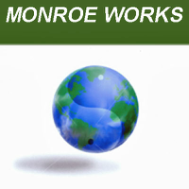 Apply when the plant is young and before and after stress, such as temperature swings and drought. Monthly during the growing season. Mix 3 oz. Black Sea Kelp with 20 gallons of water for every 1000 sq. ft.
Foliar Spray: Mix 3 oz. Black Sea Kelp with 67 gallons per acre. Add enough to saturate the soil or, when spraying, completely wet the leaves front and back. Add 1 tablespoon Black Sea Kelp for each gallon of water. Mix 1/2 to 1 gallon of Black Sea Kelp in 50 gallons of water per acre. Apply as you transplant or cut. Mix 1/2 gallon of Black Sea Kelp per 20 gallons of water. Potash (potassium or the k in npk) is necessary for root growth and the production of more flowers. Black Sea Kelp an excellent natural source. Provides an excellent feed for beneficial fungi contained in soils. Can be added to any fertilizing regime. Greater nutritional value in fruits and vegetables. Plants resistance to nematodes, disease and pests increase.